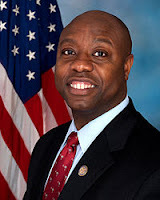 Senator Tim Scott was surprised that some called him an Uncle Tom after he voted to confirm Jeff Sessions. While I don't condone the use of that term, Scott shouldn't have been surprised considering that his vote will hurt African Americans. Watch the video below for more on this story.